The world is no longer beating the “drum of war” against Iran, its foreign minister said on Tuesday, citing the direct benefit of the government’s nuclear talks with the West. Mohammad Javad Zarif said the decision to restart negotiations and seek a deal over the Islamic republic’s disputed nuclear programme had reduced tension and would not be reversed. But Zarif, who has led the Iranian side in talks with world powers that last month saw an interim agreement extended to June 30 next year, denied his team was bargaining “like carpet sellers” for a better deal. “Because of these negotiations the Islamic republic of Iran has become safer… and less vulnerable than before,” he told students in Tehran in a speech carried live on state television. Israel and the United States have said all options, including military measures, remain on the table should Iran not rein in its nuclear programme. At the most recent negotiations, Iran and the P5+1 group (Britain, China, France, Russia and the United States plus Germany) missed a November 24 deadline for a comprehensive agreement. But they agreed to keep talking and set new deadlines of March 1 for a broad political framework and June 30 for the fine print of the final deal. Key differences remain on when sanctions will be lifted on Iran and on what limits will be placed on its enrichment of uranium, a process used to produce energy but which can also lead to the fissile material needed for an atomic bomb. 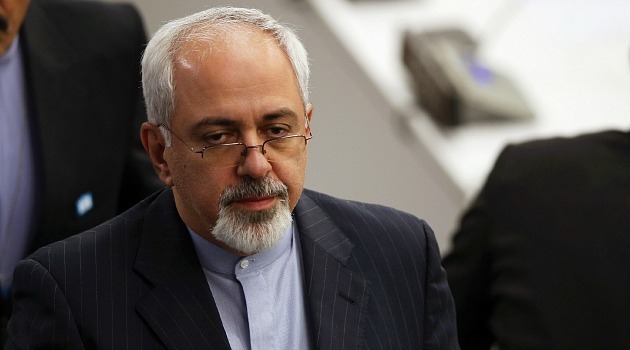 Iran denies seeking nuclear weapons. Respect for Iran has increased since talks officially restarted in 2013, Zarif said, but the process has been hampered by “the Westerners having a wrong concept of how Iranian officials negotiate”. “They used to believe that Iranians ‘taarof’, kill time, bargain like carpet sellers and give concessions at the last minute,” he said. “Taarof” refers to the Iranian art of politeness, an ancient custom of manners which in some environments is perceived as a potentially deceptive black art. “This wrong conception of our behaviour has caused us not to be able to reach our objectives in negotiations,” he added, with more time needed for coming to terms on “details”. President Hassan Rouhani, meanwhile, echoed Zarif’s comments on the nuclear talks and said the real challenge was to improve Iran’s economy after years of sanctions. “The future path of the country is the path of development, progress and hope,” he said in Gorgan, a northern city where on Wednesday he will inaugurate a railway tie-up with Kazakhstan and Turkmenistan.